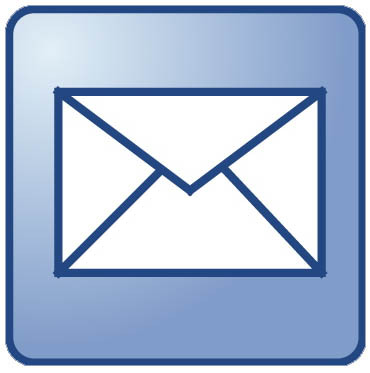 I've been hesitant about writing this post. 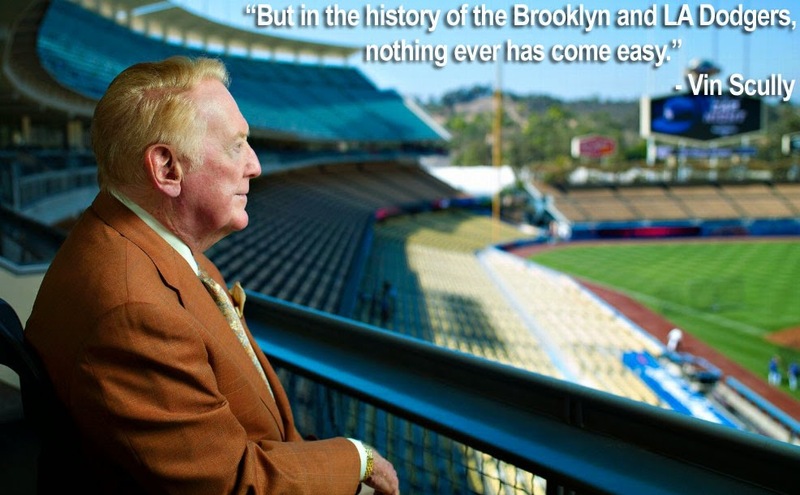 It's always tough when you get emotionally invested in a playoff run, only to see it crumble before your eyes. 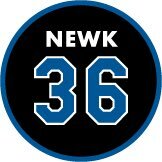 As you may already know, the Kings lost Game 5 of the Western Conference Finals, and have been eliminated from Stanley Cup contention. It was a very tough series against a very good team. As I had written previously, the Blackhawks were the one team I feared the most. 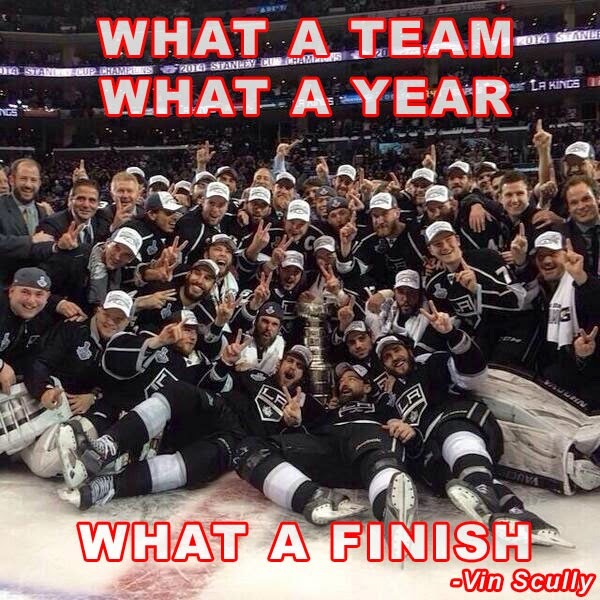 They've been wicked good all season long, and they gave everything they had in this series. At the end of the day, the best team won, and I want to express my congratulations to them. Now, beat those Briuns! I really hate those guys. As for the Kings, I want to say thank you. You guys played great all year long. It was fun being the reigning champions and I firmly believe this won't be the last time we hold up that cup. 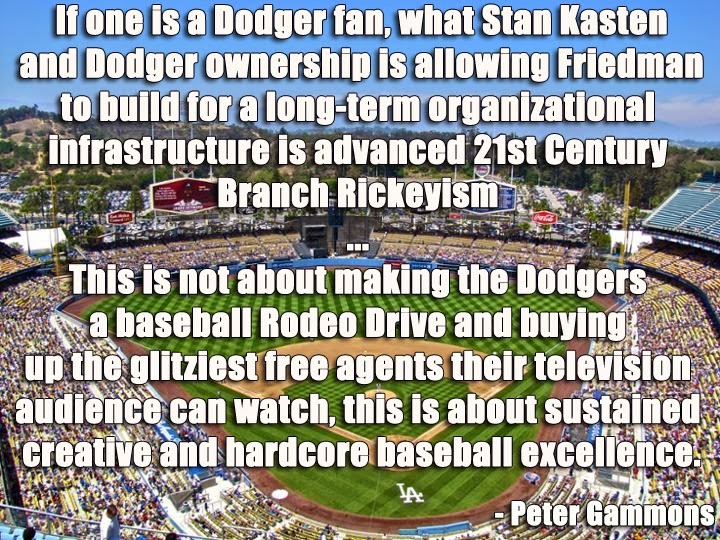 I have thoroughly enjoyed watching the games and look forward to seeing the franchise continue its dominance. Thank you for a wonderful 2 years! 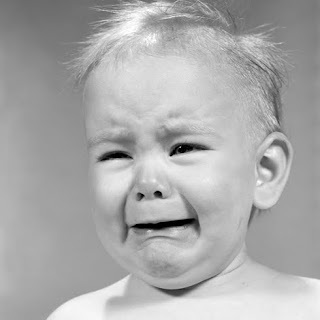 Now that that's over with, I'm gonna go to my bedroom to shed some tears. This season, like no other, is making me feel like a genius. The one league I play religiously moved to an entirely different format this year. We went to a paying league to up the stakes, turned the draft into a auction format, and changed to a keeper league. So, I can actually win some money, take any player I wanted as long as I was willing to pay the cost, and get to keep 5 players on the current roster for the following season. Therefore, this first year draft under the keeper format was very important. The choice of our best players could determine not only how you do this season, but long into the future. So, I changed my draft strategy. I decided to chase after a prospect who could keep my team winning years from now. This meant that I went big for some key guys, and filled the rest of the roster with good secondary players in hopes of having enough dollars to take my best prospect pick without any competition. As Spring Training got underway this year, it became clear to me that Yasiel Puig was a diamond in the rough. He showed that he wasn't as far away from the show then I originally thought, and I would have to seriously consider taking him - even if he was sent to the minors for some additional seasoning. As this years draft came in my league, I was able to pick up players like Votto, Carlos Santana, Choo, King Felix, Shields and Jared Weaver. I was also able to grab Cliff Lee, Pence and Seager to help fill in the gaps. As for a breakout candidate, I chose Matt Moore. Then, for my prospect pick I grabbed Puig in the very last round. I had over $40 left in my account and knew nobody could compete with that. So, since that day Puig has sat on my fantasy league roster waiting for the day that he would visit Dodger Stadium. Well, this past week was that time, and am I ever thankful I chose to go after him. I sat just 5.5 games behind first, and basically wiped the floor of the team I played this week in our head-to-head format. If he continues to contribute for the Dodgers I expect that this will be a very good year for my team. On top of that, there is no way Puig will be allowed to leave my team. He's a keeper. 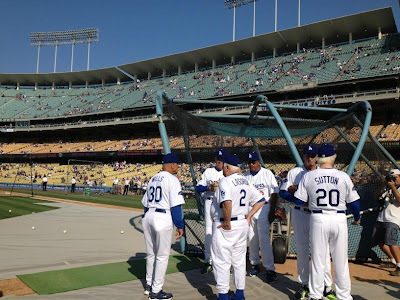 It looked like a pretty good time at Dodger Stadium yesterday afternoon. The Dodgers held their first Old-Timers Game in who knows how long to what seemed like a big crowd. I decided to stay closer to home in order to catch Game 5 of the Western Conference Finals, so I was not in attendance. Fortunately, the twitterverse came through with plenty of memorable photographs to look through. Check out a large collection of those pics below for your viewing pleasure. BTW, the always great Jon SooHoo also has a bunch of pics from the day. 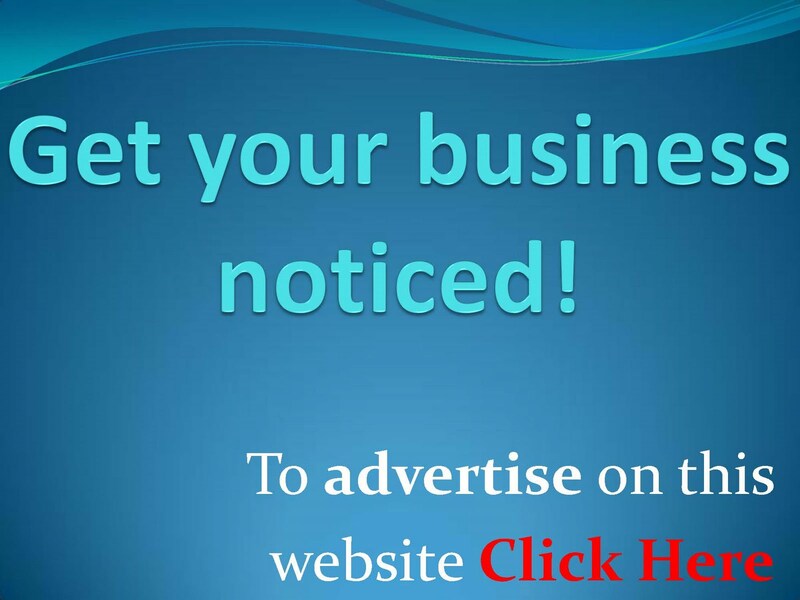 Go here to check them all out. 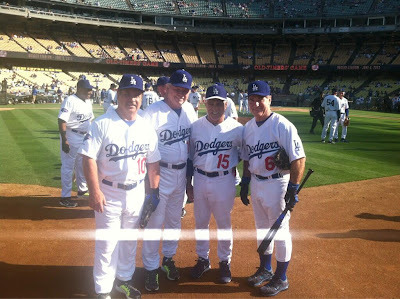 Check out this group photo of some Baseball legends before they hit the field. 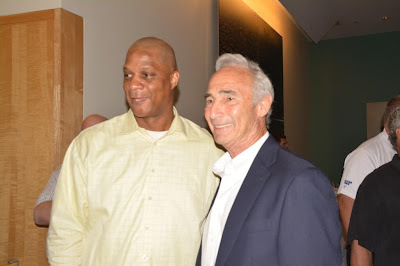 Sandy Koufax and Darryl Strawberry meet up to talk strategy. 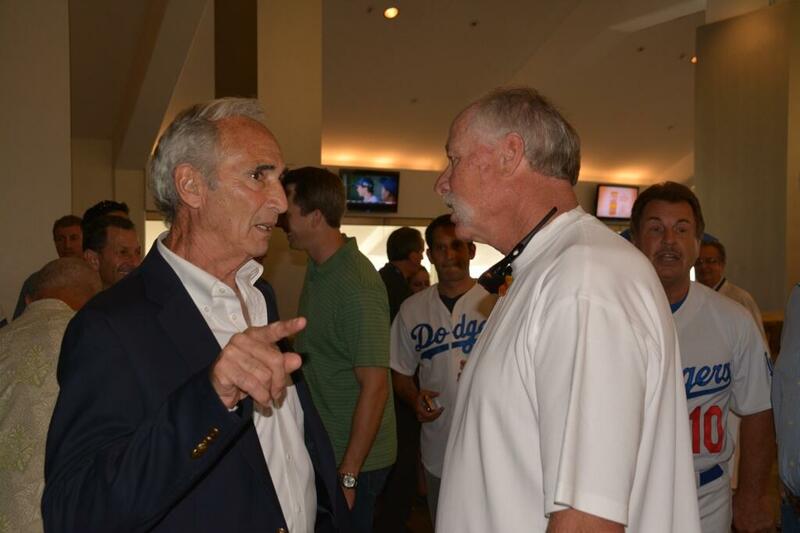 Here, Koufax chats with Hall of Famer Goose Gossage. All of the players got in their uniform and headed for the field. 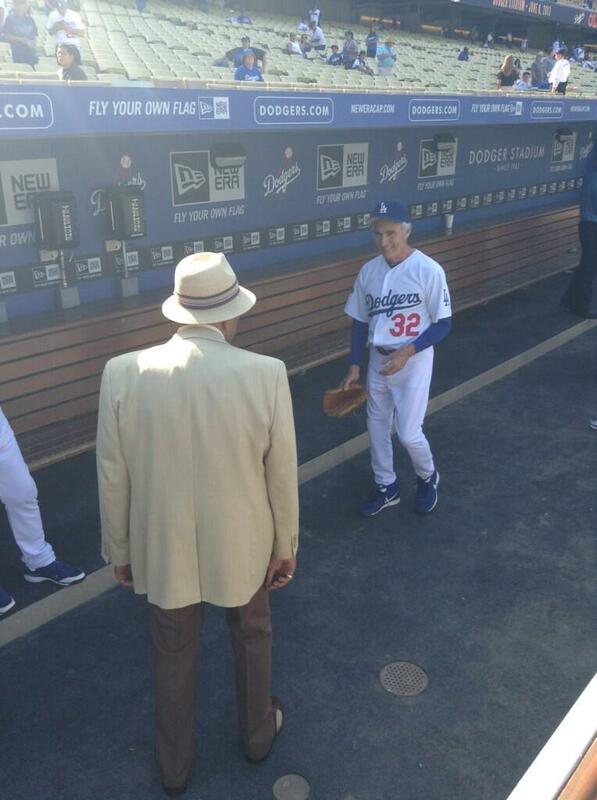 Don Newcombe is seen below welcoming his old friend, Sandy Koufax in the Dodger dugout. 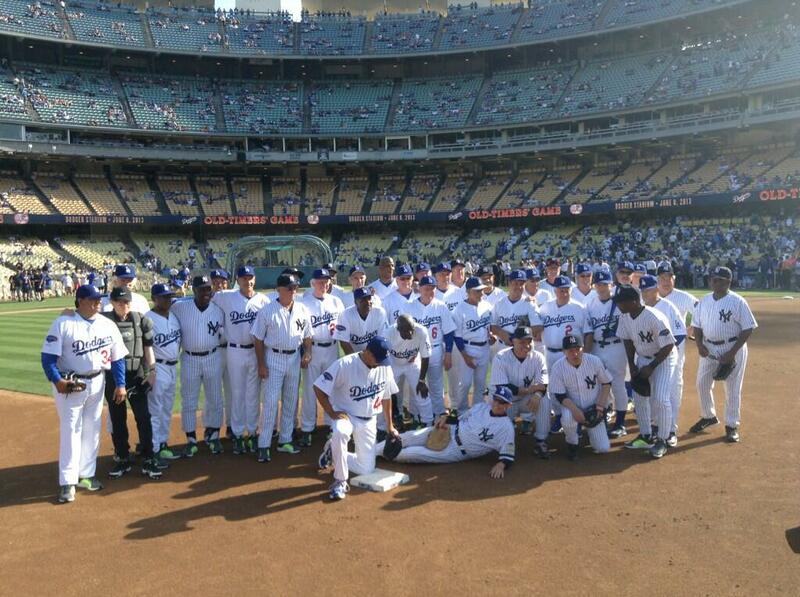 I love this group photograph of all the players before they play ball. 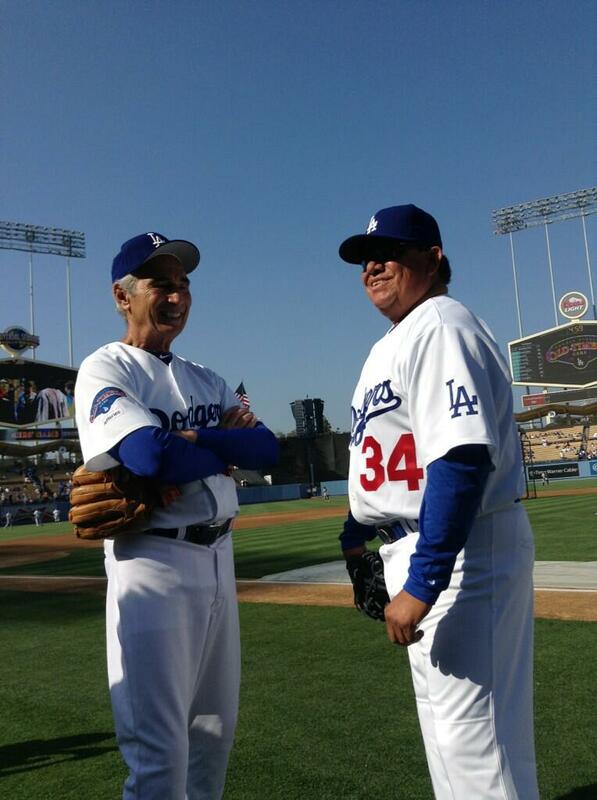 It's nice to see the two greatest Dodger lefties to play the game: Sandy Koufax and Fernando Valenzuela. 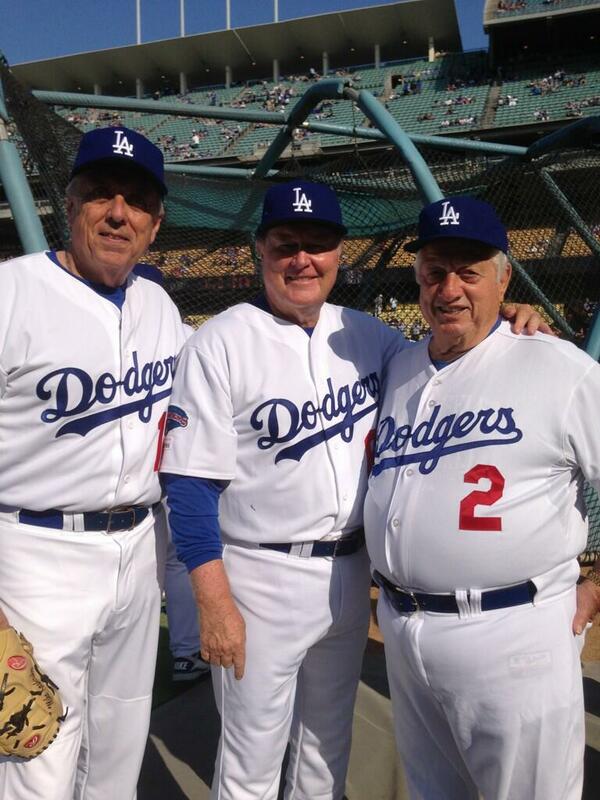 Rick Monday, Ron Fairly and Tommy Lasorda pose for the camera. Then, they stand around the batting cages in order to prepare for the game. 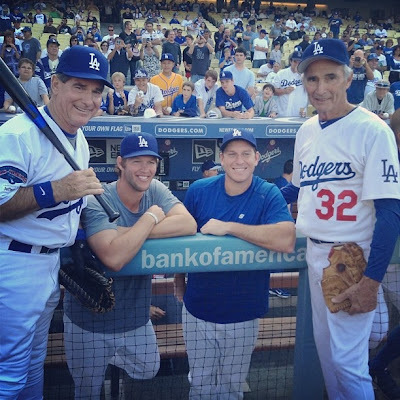 A couple of young guys decide that they'll watch a few old guys play Baseball. Billy Crystal is living the dream. 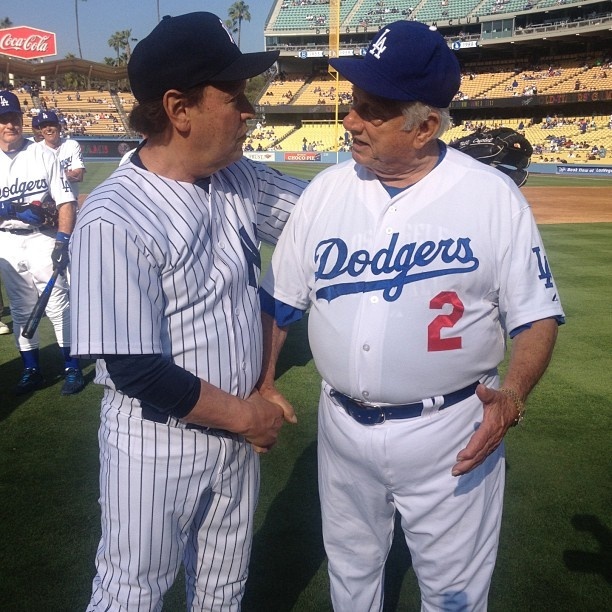 He captained the Yankees in the Old Timers Game. Hey, look! 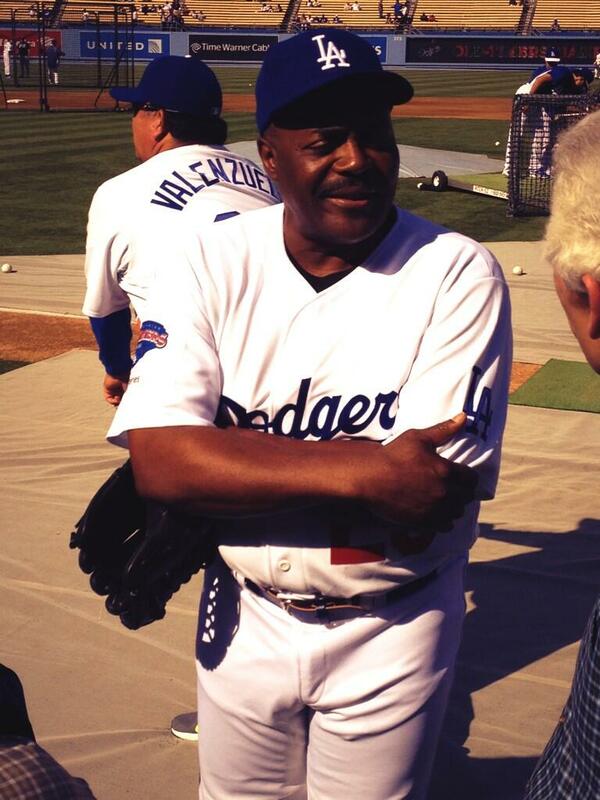 It's Pedro Guerrero. 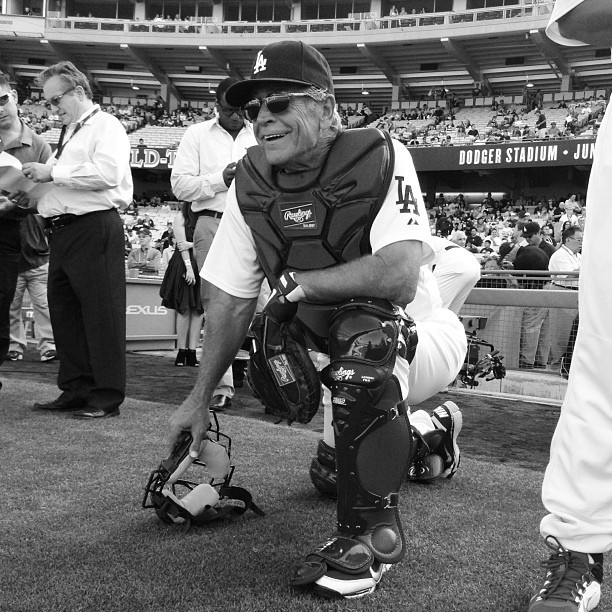 I'm amazed that Steve Yeager can still put on the gear and player catcher. Calling balls and strike was Larry King. He looks a bit grouchy here. Here is the very first pitch of the game and Mike Brito was there to test Fernando's speed. With Valenzuela on the mound who else would you expect to see in the stands? This is kinda epic. 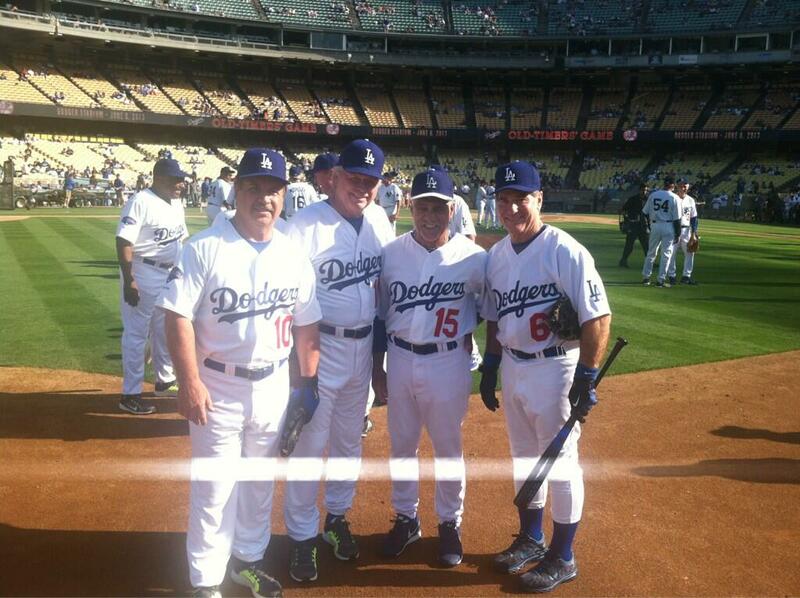 For the first time in decades, the Dodger infield of Cey, Russell, Lopes and Garvey took the field for the Dodgers. Here's a group photo of them. The biggest ovation of the day as Hall of Fame announcer Vin Scully made the introductions was reserved for Sandy Koufax, the Dodgers' version of Joe DiMaggio in the hearts and minds of fans. Mr. K did not take the mound, but Dr. K -- Dwight Gooden -- did for the Yankees. "I'm not sure how I'll do," Doc said. "I haven't been throwing, but I've been teaching my 8-year-old son, Dylan, how to pitch in Englewood Cliffs, N.J. He's got a good arm. 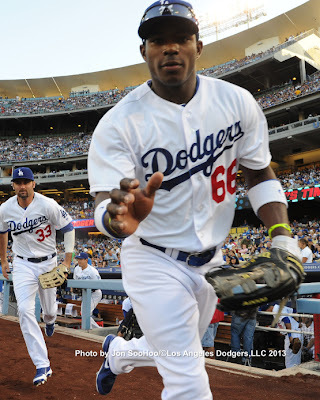 Blog Kiosk: 6/9/2013 - Dodgers Links - Man Bear Puig? Ramona Shelburne at ESPN writes, "Risk vs. reward turns out all reward for Puig". 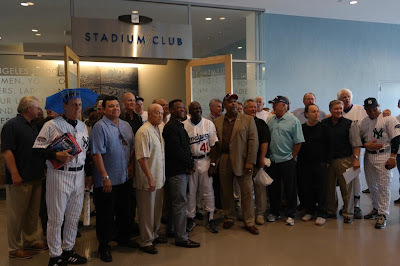 Veteran baseball men, top player development guys and scouts were comparing Puig to all-time greats like Roberto Clemente and calling him a once-in-a-lifetime player. Walter listened to them all, intrigued but skeptical. Could he really be that good? Or did these guys just see the team’s new owners as loose with their money after they’d paid a record $2.15 million to buy the Dodgers? He listened, and then he did what you’d expect from a brilliant financial mind: He assessed the risk/reward from a completely different perspective. 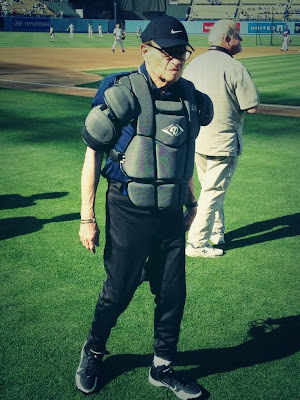 “When you’re told he’s somebody who can be another Matt Kemp, those players are $20 million a year,” Walter said. “Six years for that player is $120 million, so it’s only got to be a 1-in-3 shot [the $42 million over six years the Dodgers signed Puig for] is worth it. Via Carson Cistulli at Fangraphs, "Ongoing Yasiel Puig Coverage: Puig’s Fourth Home Run". "Pick your favorite Yasiel Puig T-shirt," via Mark Townsend at Big League Stew. Via Eric Stephen at True Blue LA, "Old timers day should be here to stay". Via a Dodgers press release, they palce Ted Lilly on the 15-day DL and recall Matt Magill to pitch this faternoon. 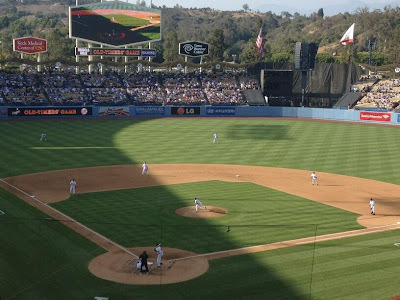 The Los Angeles Dodgers today placed left-handed pitcher Ted Lilly on the 15-day disabled list (retroactive to June 5) with a neck sprain and recalled right-handed pitcher Matt Magill from Triple-A Albuquerque. Magill, 23, will make today's start for Los Angeles and last pitched on Sunday in a spot start for the Dodgers at Colorado, allowing seven runs (six earned) on five hits in 6.0 innings and taking the loss in the Dodgers' 7-2 defeat. In five big league starts this season, the Simi Valley native is 0-1 with a 6.38 ERA after making his Major League debut on April 27 against the Brewers. Magill has gone 1-0 with a 2.16 ERA and a .183 opponents' batting average in five starts with Triple-A Albuquerque this year. Drool. Cardboard Junkie shares a bunch of pics of vintage Baseball cards sitting in cases at a cards show. It reminds me of the good old days. 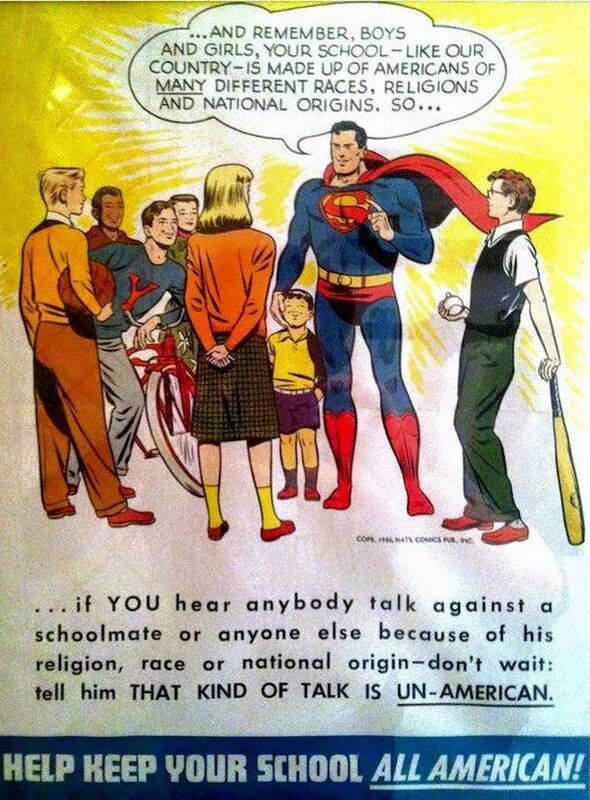 This is just great. Via Mark Townsend at Big League Stew, "Diamondbacks draft paralyzed Arizona State player Cory Hahn in 34th round". 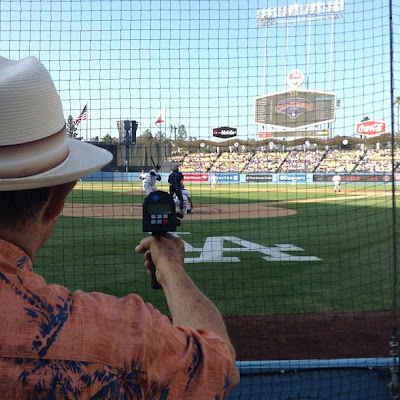 Here are the Dodgers Vine Videos from the past week compiled into 1 Video. 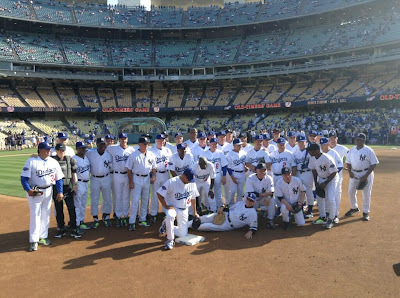 Check out Uribe, Ryu, Puig, Cruz and Hanley. Check out the fireworks from Friday night. This is too cute for words. Watch a vintage video of Billy Crystal who brings a young child into the Dodger broadcast booth. 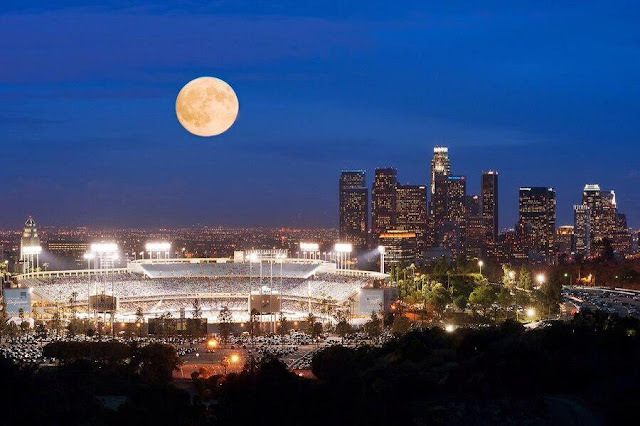 The kid names everyone on the Los Angeles Dodgers including Mike Piazza, Eric Karros, Raul Mondesi, etc. Crystal would give the first name, and the kid would always answer correctly! Here is a brief video of 16-year old Dodger prospect Julio Urias warming up in the bullpen before a start against the West Michigan Whitecaps in a Class A game on June 6, 2013. Yasiel Puig becomes only the second Major Leaguer in the modern era with four homers in his first five games. Watch all 4 home runs below.